In the early years after Confederation in Canada, the rising nation needed workers that could take advantage of the abundant resources. Until the time of the Depression, 100,000 impoverished children from the British Isles were sent overseas by well-meaning philanthropists to solve the colony's farm-labour shortage. They were known as the "home children," and they were lonely and frightened youngsters to whom a new life in Canada meant only hardship and abuse. 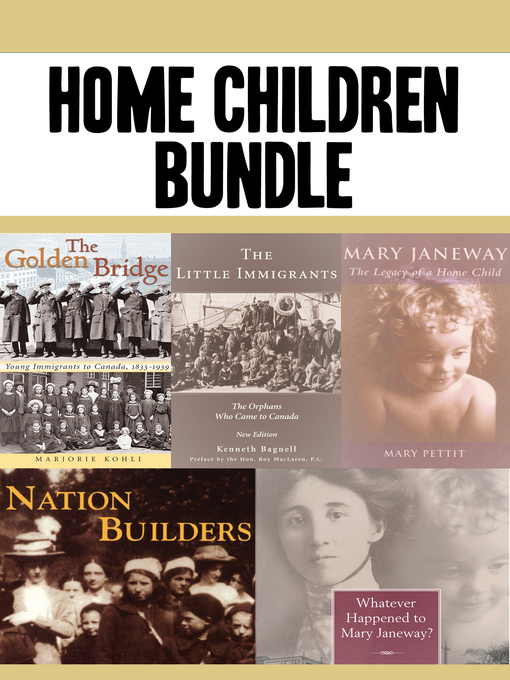 This bundle of titles tells the entire story from many angles and in its many facets, from historical recounting, to genealogical information, to the personal story one such child, Mary Janeway.